After Not Being Observed by White House for EIGHT YEARS, President Trump "Breaks Protocol" on National Day of Prayer by Honoring These Christians: "Just a Fantastic Night!" Laurie, who shared the honor of meeting the president over a special dinner with a host of Christian leaders such as James Dobson, Franklin Graham, Richard Land and others, said he was seated next to Vice-President Mike Pence and his wife Karen. 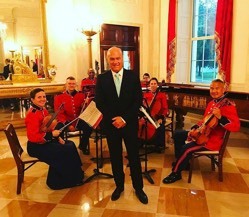 Not only that, but after the dinner, the president invited them all to see the Lincoln bedroom on the second floor of the White House and then took them to see the Truman balcony. James Dobson, who had visited the White House several times before, was quoted as saying he had never seen anything like it. "Even he was amazed," noted Laurie. "That was just a fantastic night." "Christians need to be involved in everything today in our country, including politics," continued Laurie. "Christians need to register, they need to vote, they need to run for office, and they need to be in every place in our society. I was really surprised to find how many members of this administration were overt Christians and many of them meet for Bible study every week. I don't want to say who and what, but I met people and was surprised to find that they were a Believer and very encouraged by that as well." 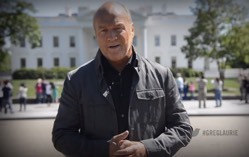 Click here to see Laurie's Facebook video post on his White House experience.